WASHINGTON — Congress is wildly unpopular. In fact, two-thirds of Americans want their own House member booted. And the tea party is dogging longtime Republican lawmakers. So incumbents are sweating out this year’s election, right? People talk about throwing the bums out, but voters keep sending the same bunch back in. More than halfway through the party primaries, 293 House and Senate members have completed their quests for renomination. The score: Incumbents 291, challengers 2. Granted, one of those two losses was a shocker. A virtual unknown, Dave Brat, toppled House Majority Leader Eric Cantor of Virginia in a Republican primary. Two longtime lawmakers — Republican Sen. Thad Cochran of Mississippi and Democratic Rep. Charles Rangel of New York — barely clung to nominations to their seats Tuesday. But those rare exciting races that draw national attention are misleading. Most of the House candidates, about 60 percent so far, didn’t have a soul running against them. Only a few faced a challenger who posed a real threat. No senator has been defeated yet. It looks to be a dramatic midterm, all right, with Republicans pushing to seize control of the Senate. More incumbents will be vulnerable in the general election than the primaries. Still, the vast majority of sitting lawmakers are snug in their seats. Over the past five decades, voters have routinely returned 9 of 10 incumbent candidates to the House. Senate races are a bit less predictable, but usually more than 80 percent of incumbents win.Over the past five decades, voters have routinely returned 9 of 10 incumbent candidates to the House. Senate races are a bit less predictable, but usually more than 80 percent of incumbents win. Yet even in that remarkable midterm, voters rehired 85 percent of Congress members who were on the ballot. 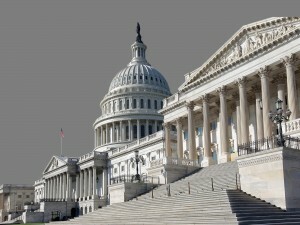 This year, Congress logged a confidence rating of 7 percent, the lowest Gallup has measured for any institution, ever. People don’t put much attachment to their own representative anymore, either. An Associated Press-GfK poll last month found that 65 percent of Americans say their own House member should lose. So why do these people keep winning? It’s harder for challengers to sell themselves to voters. Incumbents wield tremendous advantages. They raise big bucks from special interests, use their congressional offices to send voters mass mailings, build ties to businesses and advocacy groups in their districts, and benefit from name recognition. They have staff members back home working to keep constituents happy. “If you know them, if you helped their father or sister or relative or friend, if you go to their events and show interest, if you do good staff work, you’re going to go back,” said former Rep. Connie Morella, who served 16 years in Congress. A Republican in a heavily Democratic Maryland district, she was re-elected seven times, until her district boundaries were redrawn by Democrats to push her out in 2002. Political calculations in the redistricting process every 10 years have contributed to most districts becoming solidly Republican or solidly Democratic. Only about four dozen of the 435 House seats are considered in play this year, meaning either party might conceivably win them in November. Many of those are open seats, vacated by lawmakers who are retiring or seeking another office. In dozens of other cases in the House, only one of the two major parties will even have a name on the November ballot. In the Senate, about a dozen of the 36 seats up for election might be truly competitive. Turnout is low in midterm elections, usually about 40 percent in the fall and often abysmal for primaries. Voters may feel they lack true choice, although Cantor’s loss shows that establishment candidates can be ousted.